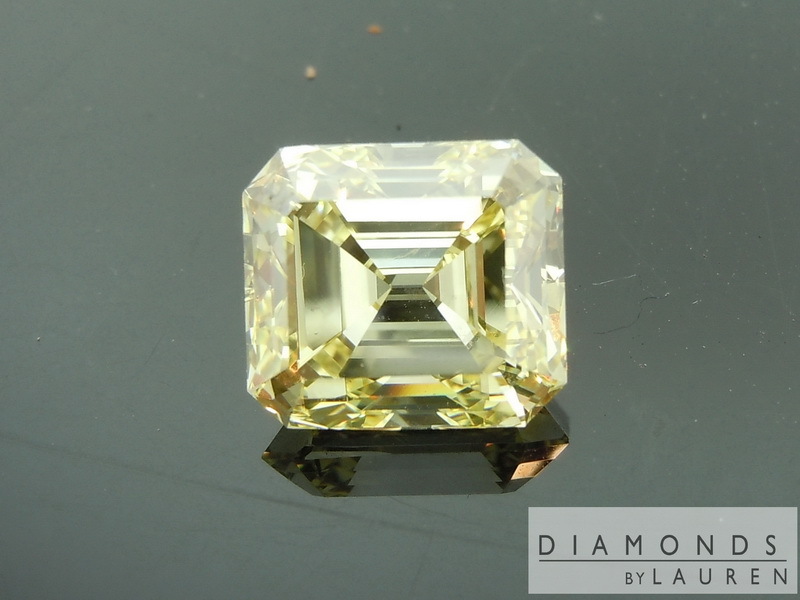 Natural yellow Emerald cuts are super rare. That's not why I'm head over heels in love with this one though. The fact is, it's a very unique and mesmerizing stone. First of all, it really broadcasts the canary color. 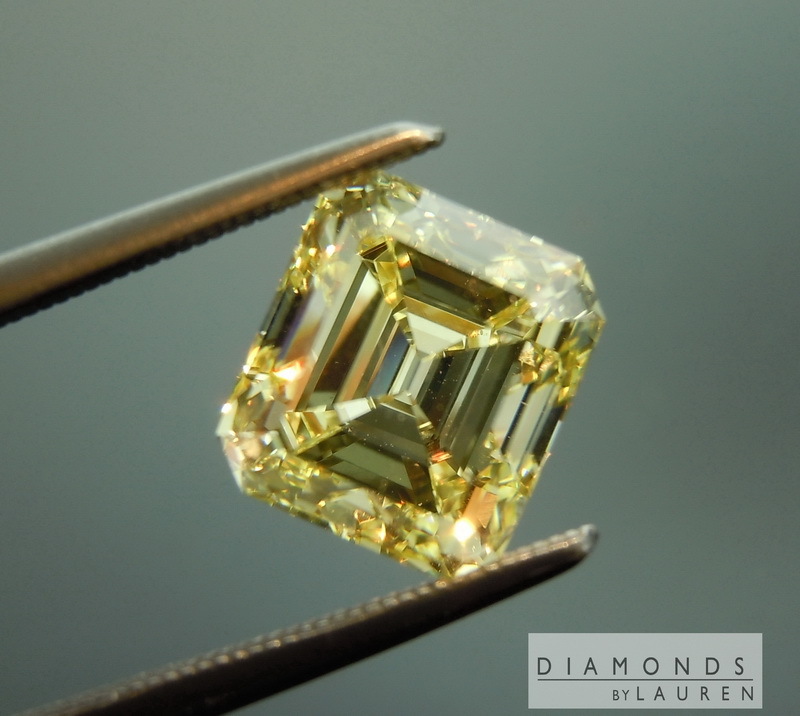 For an emerald cut, that's quite an accomplishment – here's why. 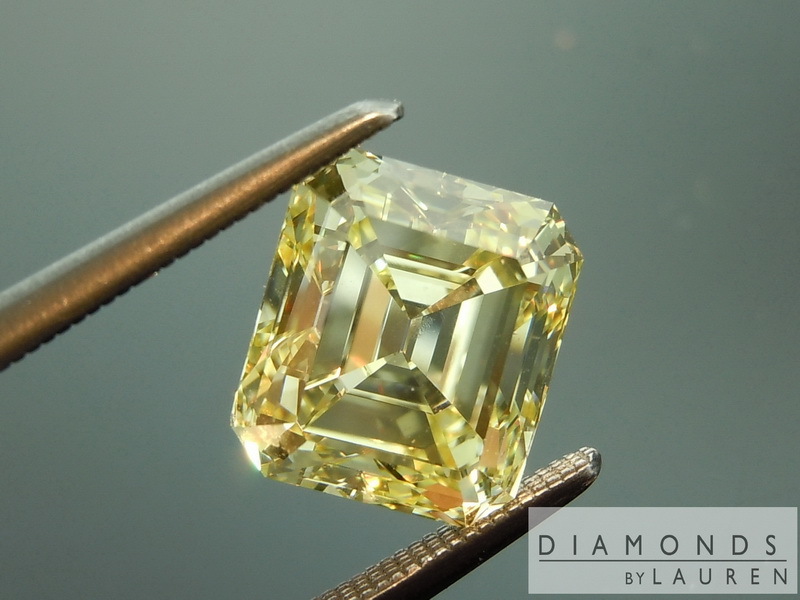 In your typical yellow radiant cut, or cushion cut, the light bounces around a few times before it exits the diamond. 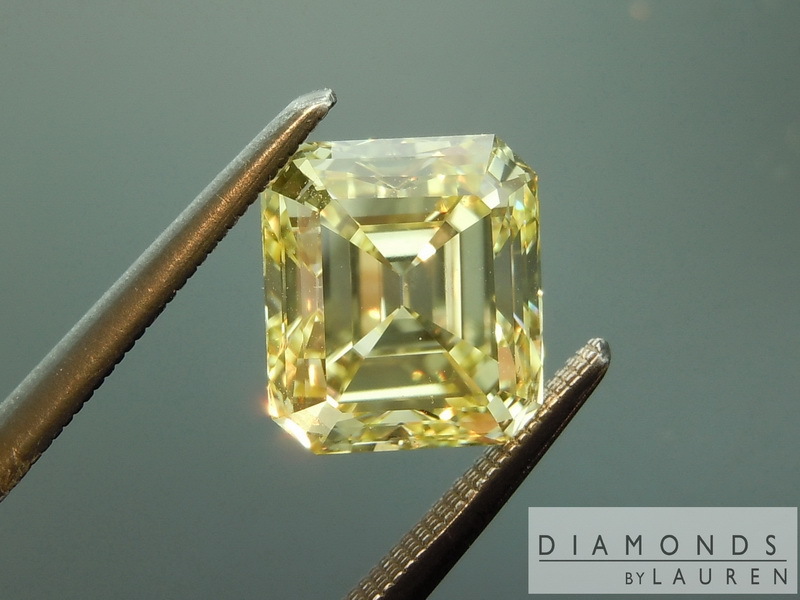 With an emerald cut, most of the light goes in, bounces once and comes out. 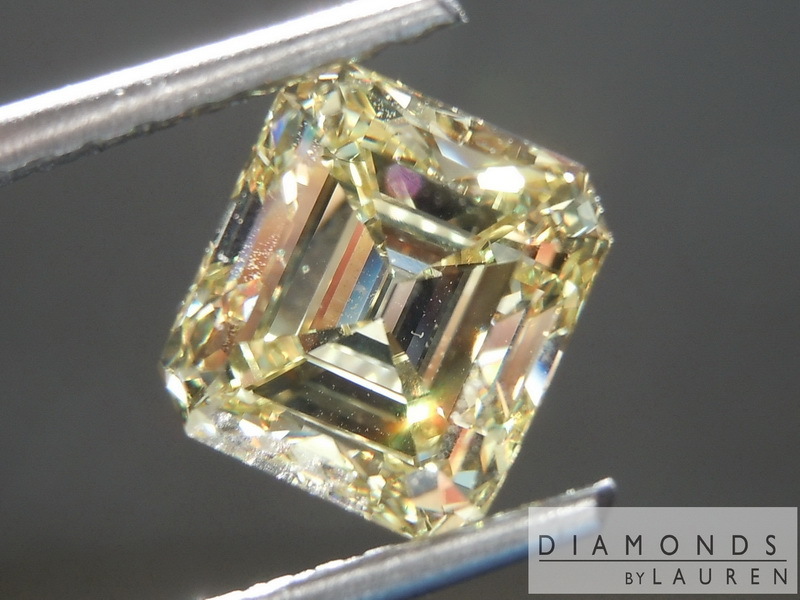 The less time the light stays in the diamond, there's less opportunity for the body color of the material of the diamond to affect the color of the light. This is physics and science. 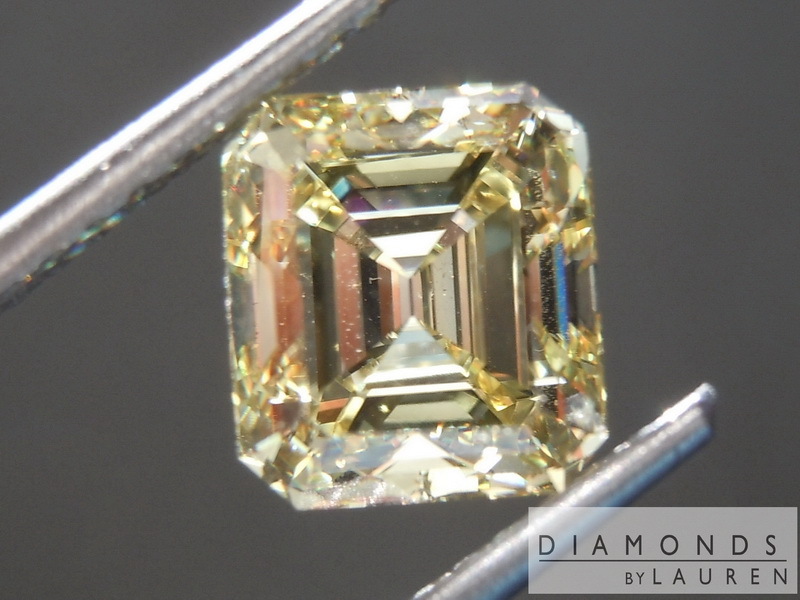 It is also another explanation for the rarity of yellow emerald cut. In most cases, the cutter can polish away a bit more of the diamond, creating a radiant cut that might gain one or even two color grades from GIA. 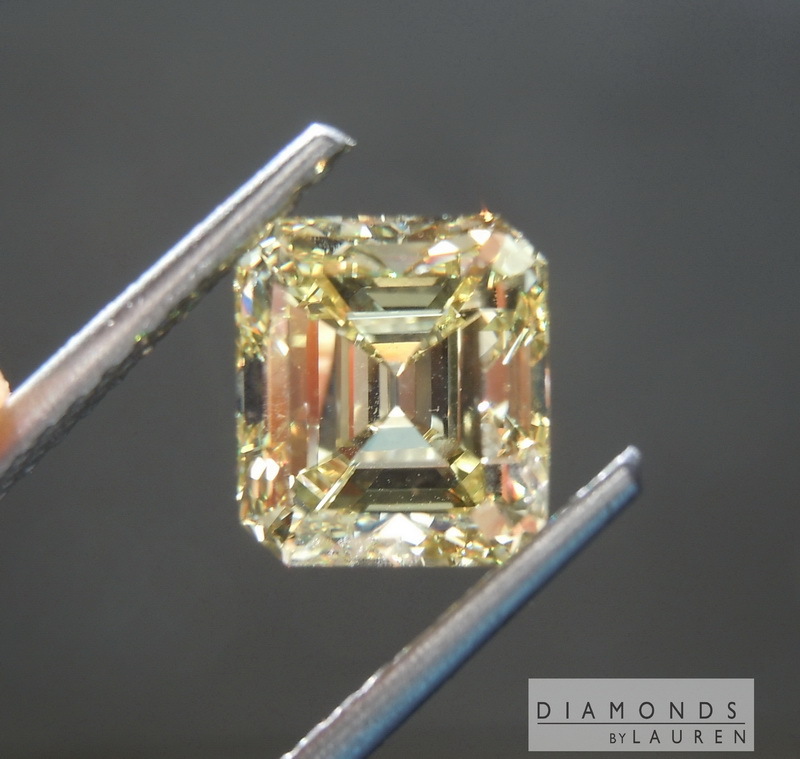 It's quite possible that the cutter could have made this stone into a radiant cut, and it might have been graded fancy intense yellow by GIA. 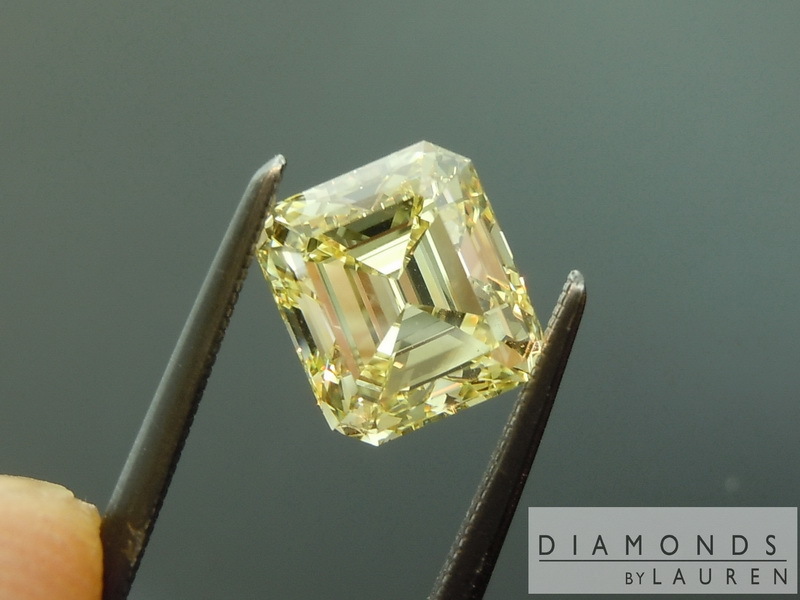 Consequently, the per carat price of the stone, is higher than the average per carat price for a radiant or cushion cut fancy yellow diamond. As a lifelong lover of Emerald cuts, I am very happy that my friend decided to leave it as an emerald cut. At 1.12:1 ratio The stone is pretty close to square. 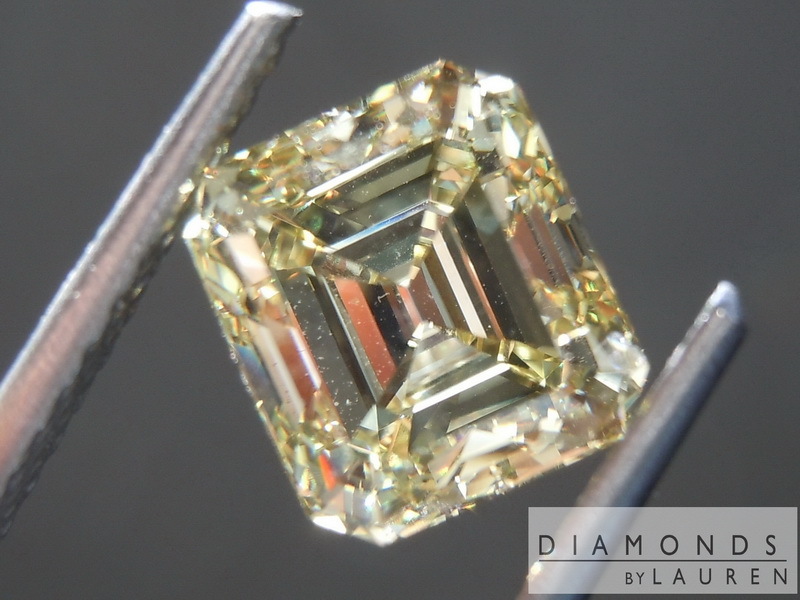 In some ways it does have a bit of Asscher flavor to it - however the corners more traditionally Emerald Cut in proportion. . The stone really glitters. You can get lost gazing into the steps of light. Also, the diamond looks great and pretty much any lighting situation. 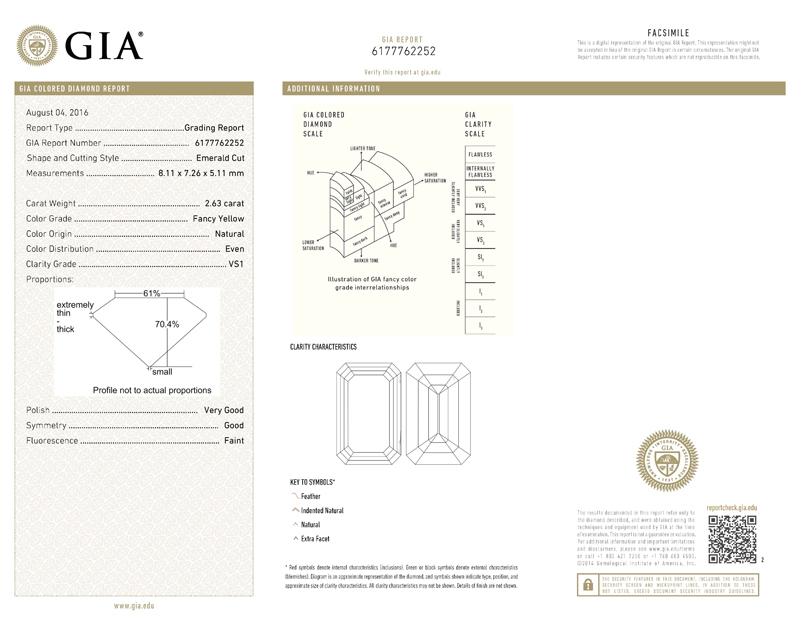 As a GIA graded VS1, the diamond is totally eye clean. 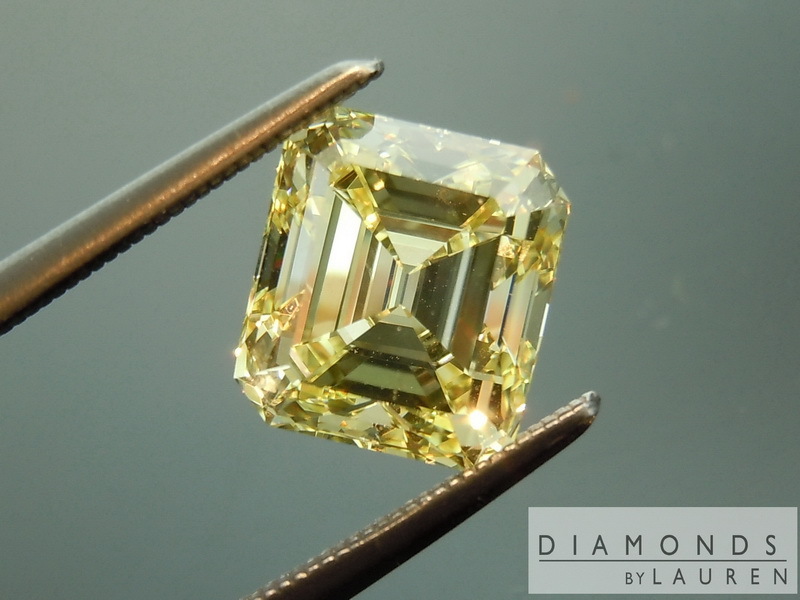 The stone will look amazing in a halo, or three stone ring with colorless side diamonds. But of course that's my opinion, you may think of something else.